An evening of poetry, music and meditation to launch this year’s edition of Urthona, Triratna’s journal of Buddhism and the arts, which will be available on the night. 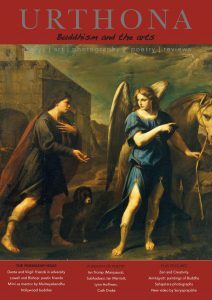 You can hear readings from four poets featured in this issue, Caroline Maldonado, Cath Drake, Ian Marriott and Subhadassi, as well as Satyadaka reading his brilliant new Rilke translations, and editor Ratnagarbha with translations from Dante. The evening starts with meditation in the main shrine room at 6pm, introduced and guided for those who are new to it.